CDS Manufacturing designed and built this semiautomatic Tube Bending Fixture. This system bends burner tubes in two different configurations using adjustable and changeover tooling. The operator loads tubes into the fixture and presses a pair of electronic finger buttons to start the cycle. 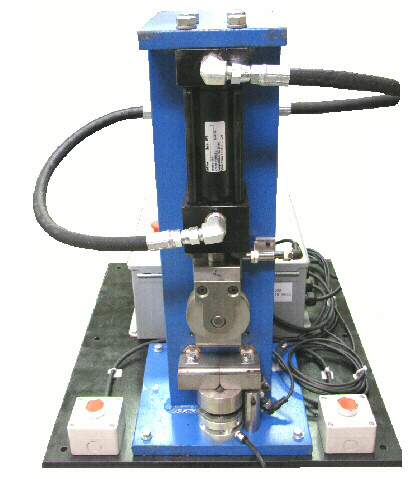 The hydraulic cylinder advances pressing the tube against the form tooling to create the desired tube bend. The operator removes the completed part from the fixture.